A large tree landscape is good for the environment, increases property values, creates privacy, reduces noise, reduces energy bills, attracts birds, and can transform a common backyard into an estate setting - instantly. Our mechanical spades can move trees up to 14" caliper. 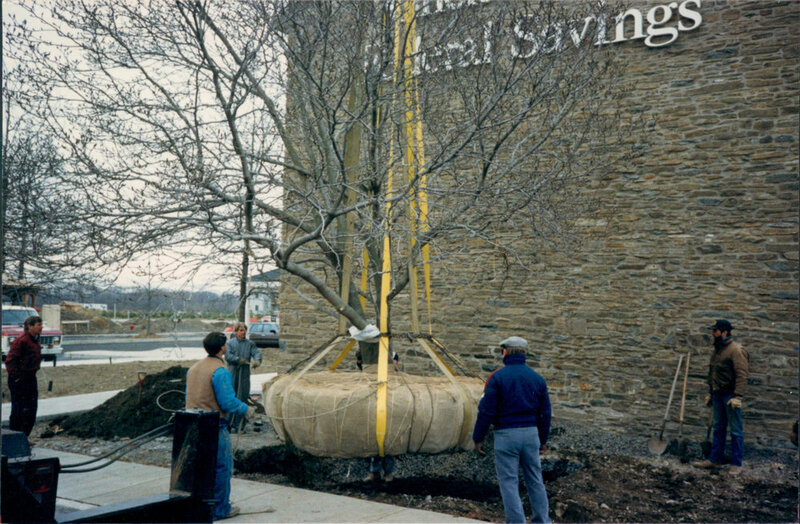 We also move much larger trees using other methods. We work with homeowners, contractors, real estate professionals, landscape designer, landscape architects, custom home builders, golf course designers, and property developers throughout the Delaware Valley and New York Metropolitan area - and beyond. VIEW OUR SERVICE AREAS. We listen to our customers' needs, and then we select the best trees to craft the perfect landscape to meet those needs. Our customers love our work, and they let us know! let us help choose the right trees for your landscape.